Kendra read 27 books of her goal of 20! Kendra read 37 books of her goal of 20! To ask Kendra C. Highley questions, please sign up. 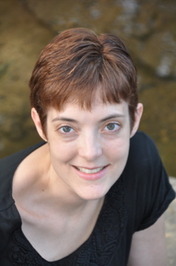 Kendra C. Highley I have a tentative date for UPRISING now-- 11/14. That will depend on how much editing it needs, but it's coming up! 2.5 stars I think I’ve read one too many—they are starting to sound the same as the last for me. Want to know more about the Matt Archer universe? Ask questions about the books? Guess at future plot points? You've come to the right place!